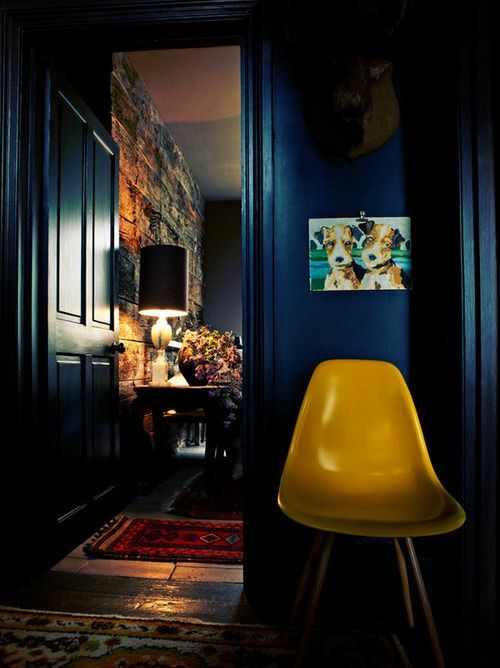 Way too dark and somber…..good colour for a coat though. 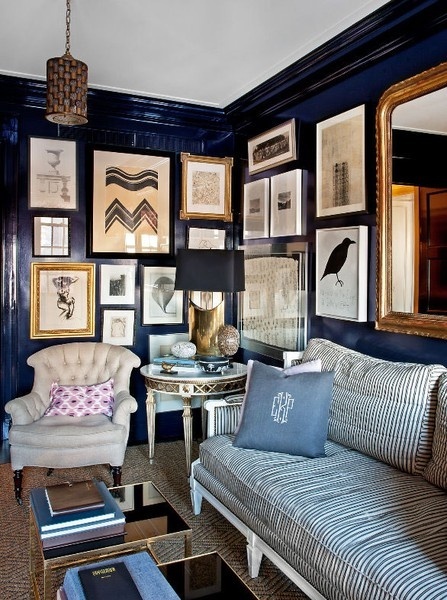 LOVE the blue walls!!!! 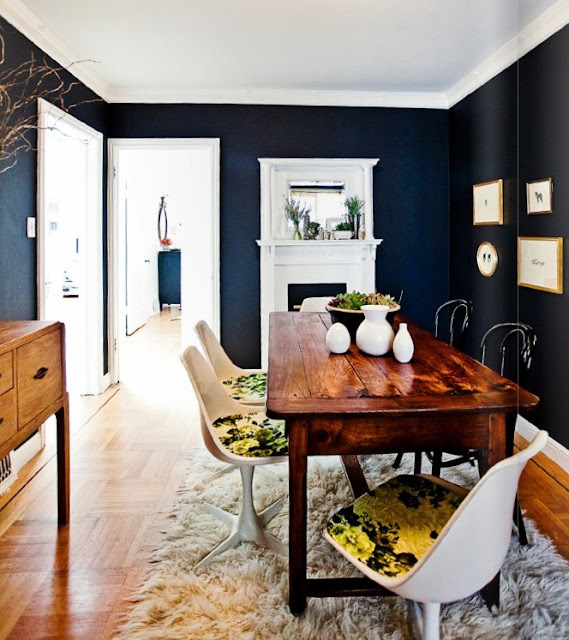 I actually have the 2nd last picture pinned since I have a dark table like this and my floors will be dark as well! 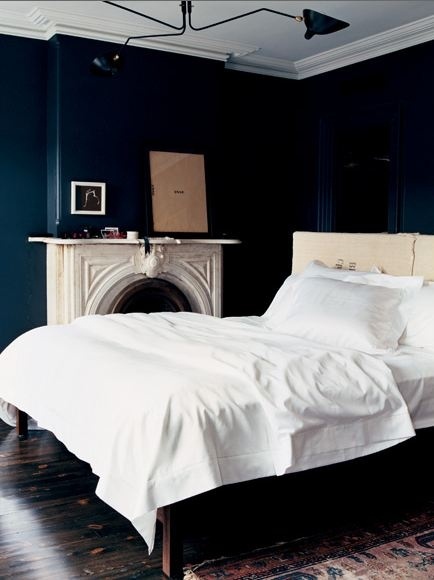 I have been contemplating painting one our walls navy blue. Most of the house will be white with a light grey kitchen. Thanks Ambs! I don’t know if I’ll do it, but I love the look!